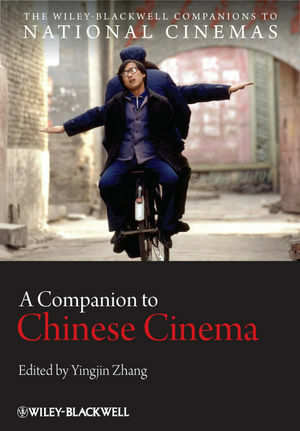 A Companion to Chinese Cinema is a collection of original essays written by experts in a range of disciplines that provide a comprehensive overview of the evolution and current state of Chinese cinema. Yingjin Zhang is Professor of Comparative Literature and Cultural Studies at University of California, San Diego, and Visiting Chair Professor at Shanghai Jiaotong University, China. He is the author of The City in Modern Chinese Literature and Film (1996), Screening China (2002), Chinese National Cinema (2004), and Cinema, Space, and Polylocality in a Globalizing China (2010); co-author of Encyclopedia of Chinese Film (1998); editor of China in a Polycentric World (1998) and Cinema and Urban Culture in Shanghai, 1922-1943 (1999); and co-editor of From Underground to Independent (2006) and Chinese Film Stars (2010).